This Situation Update describes events occurring in Hlaingbwe Township, Hpa-an District during the period between February and April 2016, including military activities, road construction, village life, and livelihood, health and education. On February 25th 2016, five Tatmadaw army camps withdrew their battalions from Hlaingbwe Township and were replaced with the BGF’s battalions. 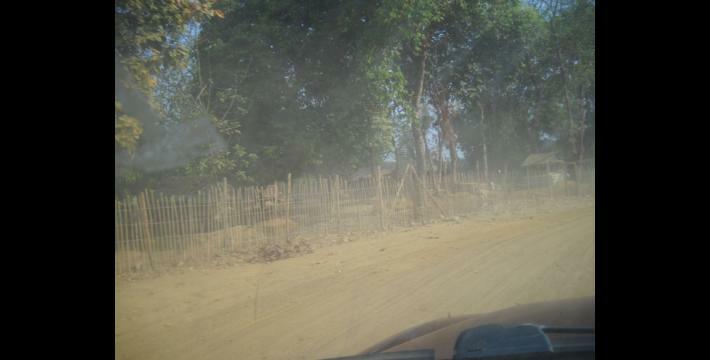 Since the KNU and Burma/Myanmar government signed the 2012 preliminary ceasefire agreement, more government primary schools have been built in the villages. Civilians in Hlaingbwe Township were happy when U Htin Kyaw became president and his government began to rule the country; they hope that there will be change. The following Situation Update was received by KHRG in April 2016. It was written by a community member in Hpa-an District who has been trained by KHRG to monitor human rights conditions. It is presented below translated exactly as originally written, save for minor edits for clarity and security. 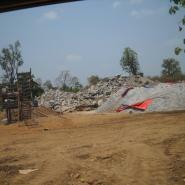 This report was received along with other information from Hpa-an District, including 15 photographs. Now, the armed groups [based] in Lu Pleh [Hlaingbwe] Township, Hpa-an District area are [President] Thein Sein’s army [Tatmadaw], which has become [President] U Htin Kyaw’s army [Tatmadaw]. There is also DKBA [Democratic Karen Buddhist Army]’s Poh Bee’s army, they operate in Meh T’Waw [village area] and Khoh Loh Kloh [Salween River] area. KNU [Karen Nation Union]’s army [KNLA – Karen National Liberation Army] operate on the [Thai-Burma] border in the Thoo Mweh Nee [Moei River] area. U Htin Kyaw’s army [Tatmadaw] operate in Hkler Day army camp, Klaw K’Tee army camp and Ma Ner Plaw [army camp]. The [Tatmadaw] army camps in Poo Loo Plaw, Hpaw Pah Hta, Htoh Doh, K’Ma Hkoh and T’Bluh Klah based by LIB [Light Infantry Battalion] #338, LIB #339 and IB [Infantry Battalion] #28 (which are under command of MOC [Military Operation Command] #12) removed their armies to their army base in Hlaingbwe Town on February 25th 2016. They replaced [the army camps] with the BGF [Border Guard Force]’s Battalion #1015 and Battalion #1016’s soldiers, which are in BGF’s Cantonment Area #4. These BGF battalions placed around 10 to 15 soldiers in each camp for security, and among them the Tatmadaw soldiers placed one Lance Corporal or Corporal in each camp to monitor the camp. There was only one town in Lu Pleh Township, named Lu Pleh Town by Hpa-an District [Burma/Myanmar government name: Hlaingbwe Town], but after KNU and Thein Sein’s government signed the [2012 preliminary] ceasefire, they [Burma/Myanmar government] established a new town named Klaw K’Tee Town [Burma/Myanmar government name: Shan Ywa Thint Town]. 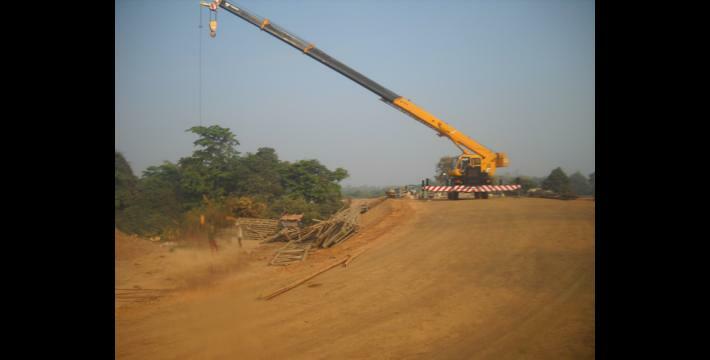 They also constructed a new vehicle road between Lu Pleh Town and Klaw K’Tee Town, and repaired the road from Klaw K’Tee Town to the [Thai-Burma] border, which is where Meh T’Ree and Meh T’Waw villages are. 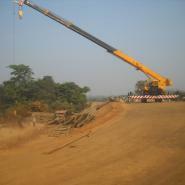 When the road was being constructed, it damaged some of the villagers’ farms’ water channels; however, villagers asked the road construction company to repair the farms’ water channels, and the company agreed and repaired them for them, so the villagers did not complain about the damage. They finished constructing all bridges in these areas [where a vehicle road is being constructed] in 2016. They started laying stones to construct the road to be travelable in both summer and raining seasons. In the past, Thein Sein’s government had full authority and did everything [they planned]. Civilians did not trust them. Currently, civilians are waiting for U Htin Kyaw’s government to take the country’s government authority. Civilians were happy when U Htin Kyaw received the country’s authority and they hope that there will be change in Burma/Myanmar. However, civilians have not seen this new government conduct any campaign [about their plans] yet; the civilians want to see and want to hear [the new government’s plans]. Civilians hope that there will be change in the country when U Htin Kyaw rules the country. From 2014 to 2015, the rice price was 3,000 kyat [US $2.52] per basket, [but] in 2016, the rice price is getting more expensive: it is 4,000 kyat to 5,000 kyat [US $3.36 to US $4.20] per basket. The temperature in 2016 is higher than the previous year. Regarding health in Lu Pleh Township, Hpa-an District, I have seen that Backpack health workers [Back Pack Health Worker Team] take responsibility [provide healthcare] in the village tracts, such as Hkler Day, Kwee Law Hploh, Daw K’Kya, Meh T’Moo and Klaw Kyaw. The other village tracts have village-level clinics but if the diseases are serious, they have to send [the patients] to [hospital] in Lu Pleh [Town] or to [hospital] in Hpa-an Town. 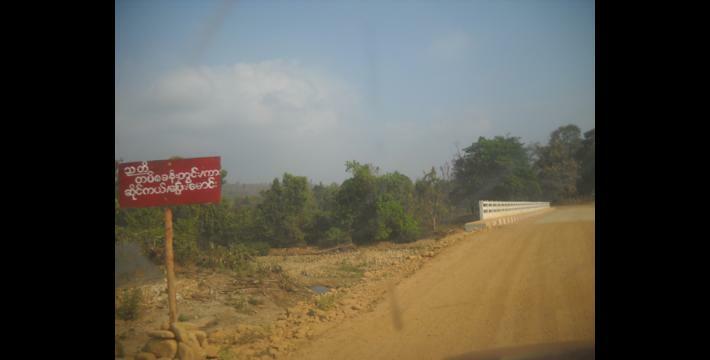 In the past, there were a few schools in Lu Pleh township, Hpa-an district, but since the KNU and Thein Sein’s government began the [2012 preliminary] ceasefire, almost all villages have schools. 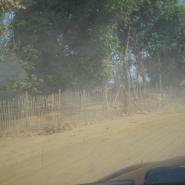 Most of the schools are U Htin Kyaw’s [Burma/Myanmar] government schools and they are mostly primary schools. The schools teach up to fourth standard. There are [some] KNU schools too, which teach up to fourth standard. Students who finish Burma/Myanmar government primary schools have to go to study at Burma/Myanmar government high schools in Hlaingbwe Town to continue their studies, and students who finish KNU primary schools have to go to study at KNU high schools in Meh T’Ree village and Thoo Mgeh Nee area, along the Thai-Burma border, to continue their studies. Most of the civilians in Lu Pleh Township, Hpa-an District are Buddhist. There are a few Baptist Christians, Anglican Christians and Seventh-day Adventist Christians. Most of the civilians in Lu Pleh Township, Hpa-an District are farmers, working on hill farms and migrating for work in Thailand. The Democratic Karen Buddhist Army (DKBA) was re-formed on January 16th 2016 as a splinter group from the Democratic Karen Benevolent Army (2010 – present). During fighting between the Tatmadaw and DKBA (Benevolent) throughout 2015, there was internal disagreement within the DKBA (Benevolent) which resulted in a number of commanders being dismissed in July 2015. These former commanders then issued a statement in January 2016 declaring the formation of a new splinter group. This organisation has phrased the formation of this group as the revival of the original DKBA (Buddhist) formed which was formed in 1994 until it was broken up in 2010 into the BGF and the still-active DKBA (Benevolent). The group is led by General Saw Kyaw Thet, the Chief of Staff is General Saw Kyaw Thet and the Vice Chief of Staff is General Saw Taing Shwe aka Bo Bi. 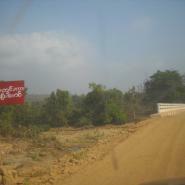 The group is currently based in Myaing Gyi Ngu area in Hlaing Bwe Township, Karen State. This DKBA (Buddhist) (2016 – present) should not be confused with the DKBA (Benevolent) (2010 – present) from which it broke away in January 2016, or with the original DKBA (Buddhist) (1994 – present) which was broken up in 2010 into the BGF and the DKBA (Benevolent). Importantly, the DKBA (Buddhist) has not signed the preliminary or nationwide ceasefire with the Burma/Myanmar government whereas the DKBA (Benevolent) has signed both agreements. For more information on the DKBA and its relationship with other armed actors, see “Militias in Myanmar,” John Buchanan, The Asia Foundation, July 2016. Army base or outpost, ranging from remote hill posts of ten soldiers to battalion headquarters of several hundred soldiers. KHRG has received numerous reports of human rights violations by BGF Battalion #1015, including arbitrary killing of civilians, arbitrary taxation and demands, forced labour, as well as additional cases of land confiscation. 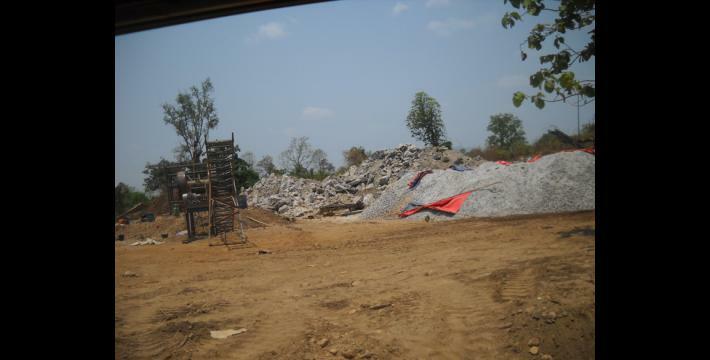 For detailed information see, “Human rights violations by BGF Cantonment Area Commander Kya Aye in Paingkyon Township, Hpa-an District, February 2013 to July 2014,” KHRG, September 2014. All conversion estimates for the kyat in this report are based on the August 16th 2016 official market rate of 1190 kyats to US $1.